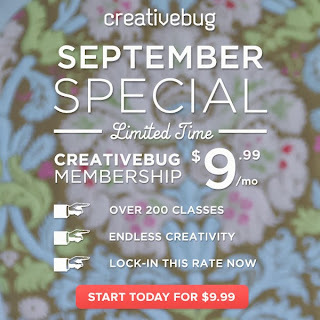 My friends at Creativebug have an incredible deal going on this month, and I wanted to take a moment and share it with you. 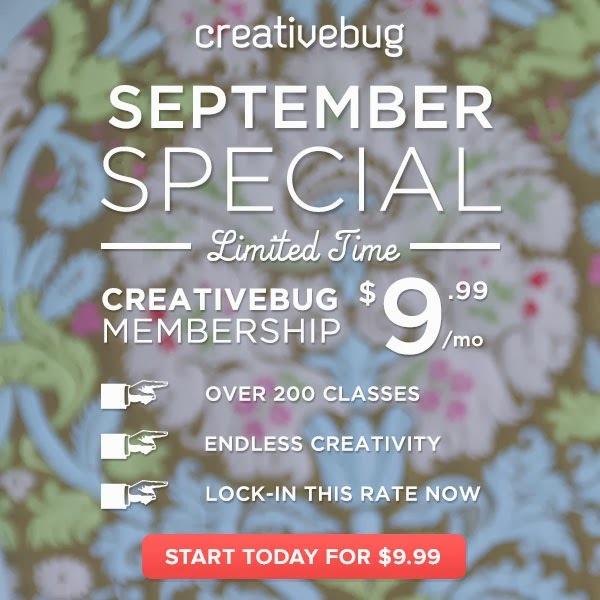 Through the end of September, you can subscribe as a member for just $9.99 a month! That means you have unlimited access to classes by Amy Butler, Anna Maria Horner, Kaffe Fasset, Liesl Gibson, Heather Ross, Natalie Chanin, Cal Patch, and yours truly, plus many more for less than ten dollars a month. I have a new workshop this month and I'll share more about it tomorrow. In the meantime, go subscribe!